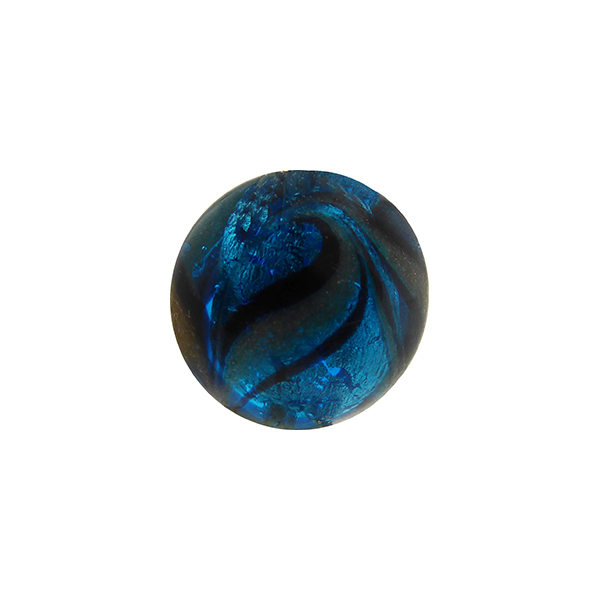 Murano Glass Bead in a disc, lentil shape, slightly puffy in the middle. Made in the Fenicio style with feathered stripes of Aventurina with transparent aqua glass over White Gold foil. 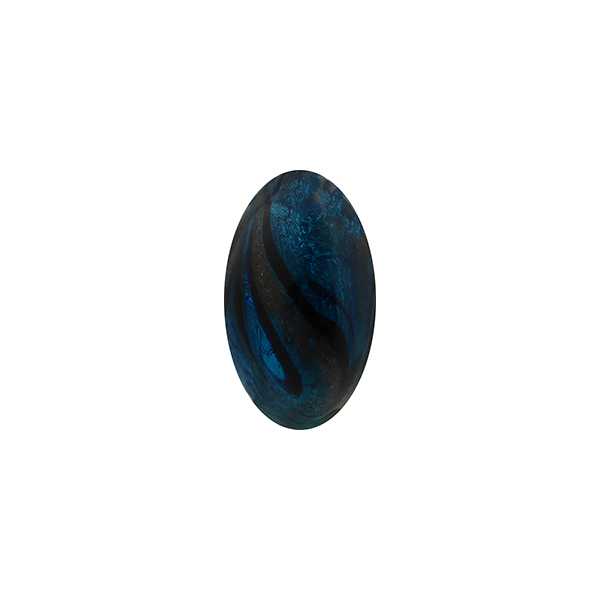 The bead is approximately 14mm in diameter and 8mm thick with a 1mm hole through the center. Great style!